Greetings! 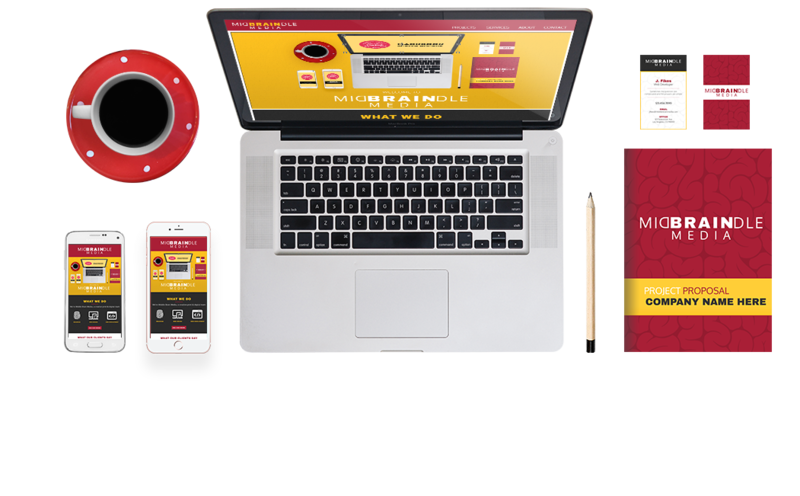 We’re Middle Brain Media, a print and digital design and development team based in Los Angeles. Our goal is to bring together imagination and logic to create compelling brand identities and websites for small businesses, entrepreneurs, and artists. Our work is visually exciting and it makes sense. We will work with you to identify and conceptualize your style, and develop an effective, lasting marketing tool for your business. We design beautiful, impactful websites, seamlessly incorporating your new or existing brand into your online home. We build fully optimized, responsive websites that look perfect on every device and are easily found online. Please contact Middle Brain Media in Los Angeles to learn more about our services and to schedule a consultation with our team. We think creating your brand and your website should be a fun and rewarding experience, not a chore. Let us help you find your identity and further your business. We work with clients throughout the Los Angeles area, San Fernando Valley, and Ventura County. We know how to design. We also know how to build websites. While these two skills need to go together to create a meaningful digital identity, it doesn’t always work that way—to the detriment of many small businesses and individuals who need a web presence. That’s where we come in. We approach websites and branding differently than most design companies, who prioritize looks over functionality, and most development companies, who don’t care enough about visual appeal. Our constant objective and overarching purpose is to do everything right, add the twist you didn’t see coming, and arrive at the ideal result.